There will be five cash prizes, drawn from 28 October to 25 November 2014. The prizes are $50, $100, $200, Jackpot draw $50*, and $1000. 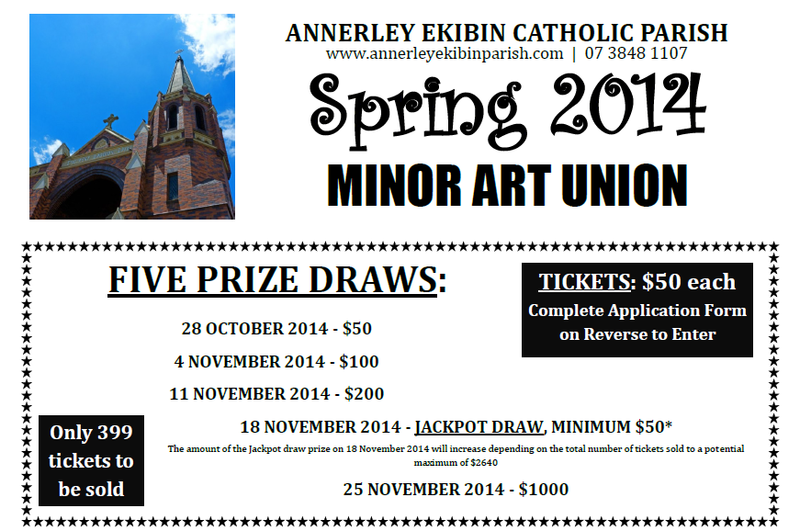 (The Jackpot draw will increase depending on the number of tickets sold, up to a possible $2640). Get your ticket today! Simply fill in the application form and return it to us. Tickets are $50 each. Only 399 tickets to be sold – so your chances are great! Young adults are especially invited to Frassati Australia’s Monday night Verso L’Alto – Monday 28th July 2014. Mass will be celebrated in the Extraordinary Form at 7:00pm in Mary Immaculate Church, Annerley (today is the feast of St Nazarius and Celsus, St Victor I and St Innocent I, Popes, in the old calendar). After Supper in the Marymac Community Centre, Father Paul will give a catechesis on the Four Last Things and Indulgences. God bless all parents and grandparents on this feast! 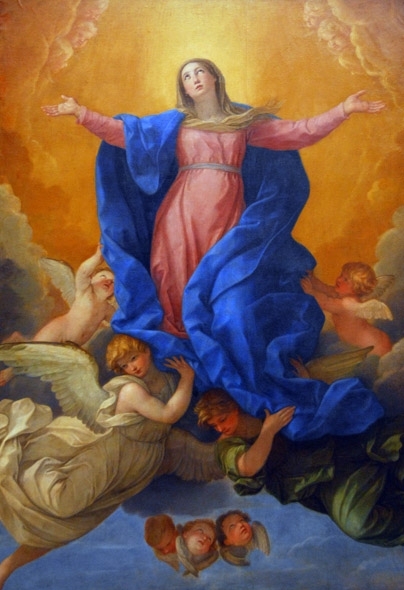 Friday, August 15th, 2014, the Solemnity of the Assumption of the Blessed Virgin Mary, is a Holy Day of Obligation, on which we have the same obligation to participate in the celebration of Mass as we do on every Sunday of the year. 7:00am at Saint John Fisher, Tarragindi (please note the change of venue for a Friday) (Exposition of the Blessed Sacrament at Saint Elizabeth’s will conclude at 6:00am). 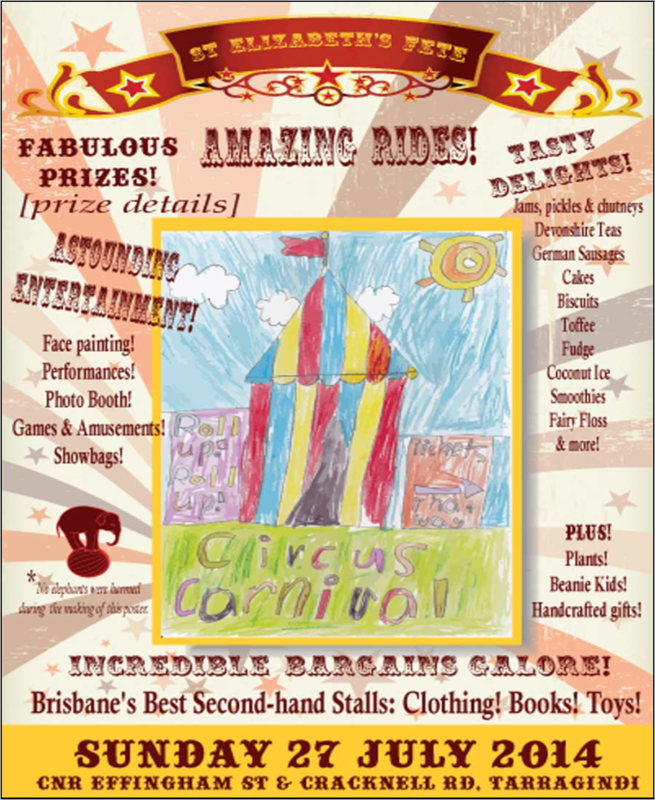 9:00am at Mary Immaculate, Annerley. As we gather in prayer [tonight] we can’t fail to recall the terrible tragedy and loss of life in the Malaysian airliner attack. We pray for the eternal repose of the souls of all who have lost their lives … and we pray for their families, loved ones and friends, and all who mourn following this dreadful event. We pray for resolutions to the conflicts in that part of the world – and indeed in any other places too – facing war and strife at this time. We think also of the continuing troubles in the Holy Land, and pray for peace there.